November 27, 1942 - December 25, 2017 Grier R. Ingebretsen was born in Seattle, WA on 27 November 1942 to Evelyn Taylor and Shirley B. Ingebretsen. Grier R. Ingebretsen was born in Seattle, WA on 27 November 1942 to Evelyn Taylor and Shirley B. Ingebretsen. Grier passed on 25 December 2017 in Portland, OR. He was a 1961 graduate of Oregon City High School & served in the U.S. Navy. He worked in the Oregon City Paper Mill before apprenticing and working in all facets of the floor covering industry & was self-employed for the past 30 years. An aggressive form of Mesothelioma ended his working days. 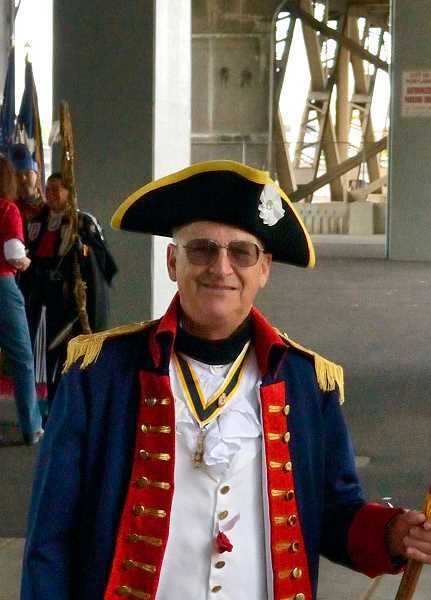 His passion was Sons of the American Revolution color guard & black powder shooting. Grier was a member of The Beat Goes on Marching Band, Tri-County Gun Club, Tualatin Valley Sportsman Association, Bergfreunde Ski Club, Sons and Daughters of Oregon Pioneers and The One More Time Band. Grier is survived by his wife of 27 years, Patti; sister, Carinda Ingebretsen; son Erik Ingebretsen; step sons Steven and Timothy Waitman; and 3 grandchildren, Caleb Ingebretsen, Amy and Megan Waitman.